Have you missed Taran Killam since he left Saturday Night Live at the end of the 2015-16 season? 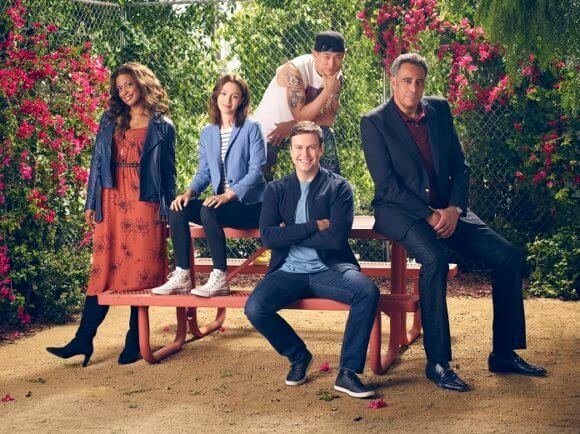 Well, he’s back in the ABC comedy Single Parents, as a single dad joining a support group of other single parents. Of course, if you’re a Taran Killam superfan you probably already saw the movie he directed and starred in, Killing Gunther. Or maybe you even caught him on stage as King George III in Hamilton. Killam spoke with reporters after a Television Critics Association panel for Single Parents. Single Parents premieres Wednesday, September 26, 2018 at 9:30pm ET/PT on ABC. How difficult was it to be a parent during Saturday Night Live? Taran Killam: “It was very challenging and the first four seasons I was on the show I was commuting because Cobie (Smulders) was still doing How I Met Your Mother out here. We only had one child at the time. Every hiatus week I flew back. It was two to three weeks working, coming home every hiatus possible. So, it was definitely exhausting and challenging. Did you overcompensate when you were with the kids? Is there anything that terrifies you when you’re left alone with your kids? Are the kids used to it? You’ve directed a movie since SNL. If this goes many seasons, would you still direct movies? Does playing a single parent on the show give you more appreciation for your life outside the show? Does it feel good not to have to write the show? What kind of character do you play in Night School? Where did Hamilton fit in? What’s your favorite TV comedy of all time and why?